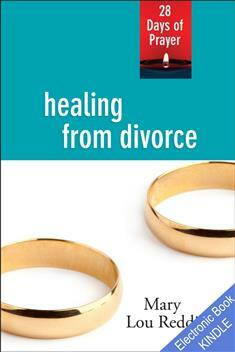 The sixth book in the 28 Days of Prayer series, Healing from Divorce offers meditations that will lead you on a journey of healing. Whether you anticipate divorce, are in the midst of the process, or are living life after divorce, each meditation suggests a Bible reading and quotes a Bible verse. Each also includes a story, along with a question or exercise for reflection.